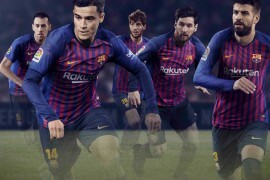 Leo Messi struck back after a lengthy lay-off with injury last night as he helped Barcelona complete a 4-0 rout of Getafe in the Copa del Rey. On for a 30 minute cameo, the Argentine superstar returned to action in a pair of the new ' adidas F50 adiZeros in the Samba ‘Solar Blue’ colourway. However, in comparison to some of the models we’ve seen professional players wearing, Leo seems to have suggested adidas make a few tweaks to his boots. Most notably, Leo’s F50’s boast a natural leather upper and the same stitching pattern as the last generation of adiZeros, making them something of a hybrid of the two. adidas have a storied history of making boots specifically to their athletes’ specifications, making boots a combination of two existing models to create a super-boot that brings across features of old favourites to players in the latest style and colourway. 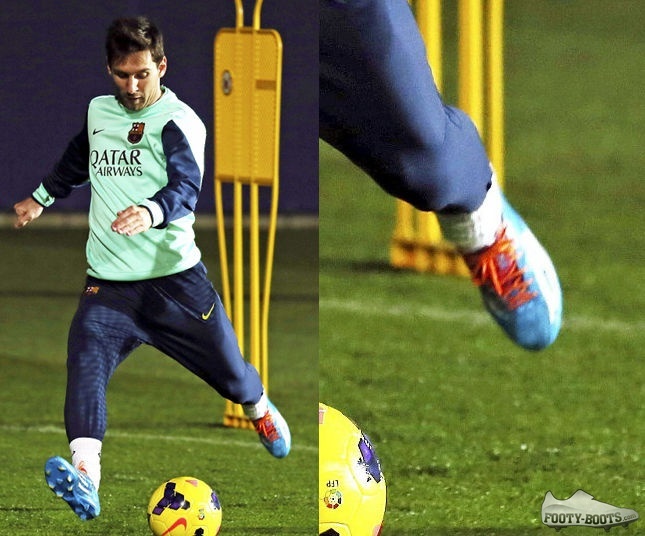 Messi’s club team-mate Dani Alves notably uses a different synthetic on his Nitrocharge 1.0’s. 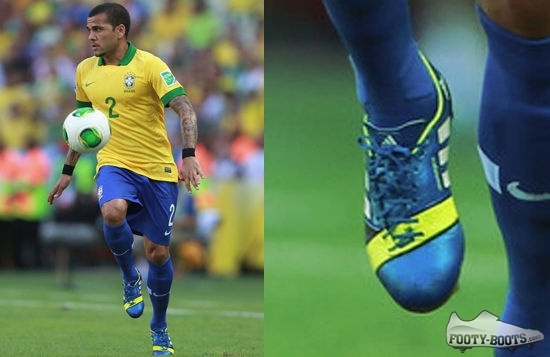 A posterboy for the silo, Alves’s Nitrocharge 1.0’s use a smooth synthetic, likely the SprintSkin from the F50’s he used to wear. Speaking of F50’s, Robin van Persie has been a difficult man to please for adidas these last couple of seasons. After finally prying him out of the Slime adiPowers he wore for over a season with Manchester United, RvP adopted the F50, but added some improved stitching and throwing on a adiPower soleplate. 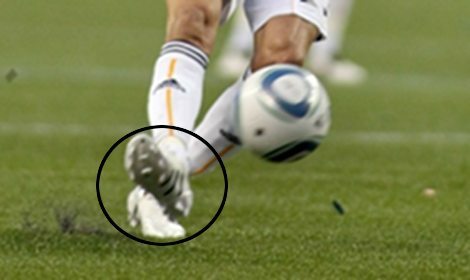 Soleplates are a key part of how a player feels on the pitch, from finding that sweet-spot for stiffness, producing power and maintaining traction. David Beckham was one such player who found his perfect match in the Predator PowerSwerve. The former England captain wore a Predator X/Powerswerve hybrid during the time of the tenth incarnation of the Predator. 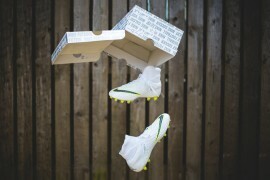 Speaking of Predator X’s, one from the archives here is Xavi’s custom boots from the 2010 World Cup. The Barcelona pass-master wore an all-K-Leather version with no Predator element in the forefoot, making them a mash-up of Predator and adiPure. Can you think of any other adidas players who have played in famous hybrid boots?